In my An Ode to Florence series I’ll be posting pictures and information about my favorite places in Florence, including those that figure into The Most Beautiful Woman in Florence. 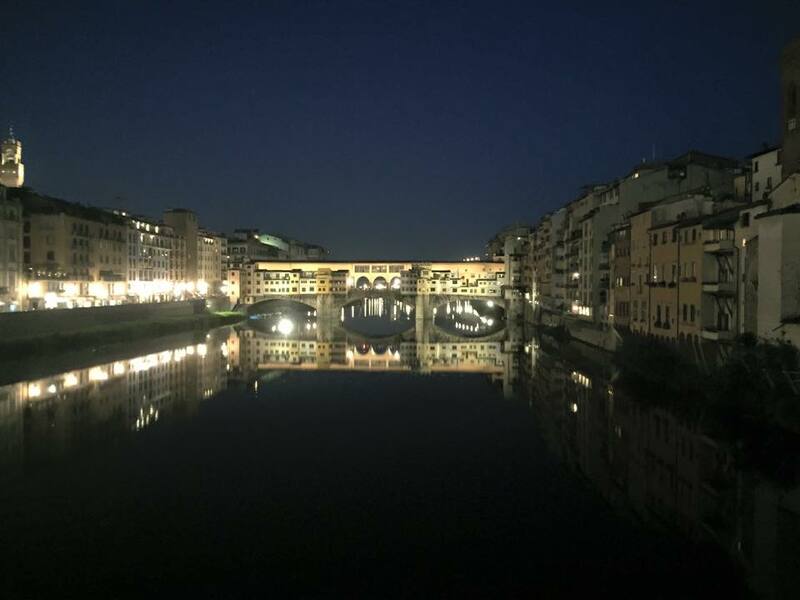 The Ponte Vecchio (literally “Old Bridge” in English) doesn’t figure too much into The Most Beautiful Woman in Florence (Simonetta sees it and mentions it in passing once or twice), but as it’s one of the most famous landmarks of Florence, I had to include it in my blog series! 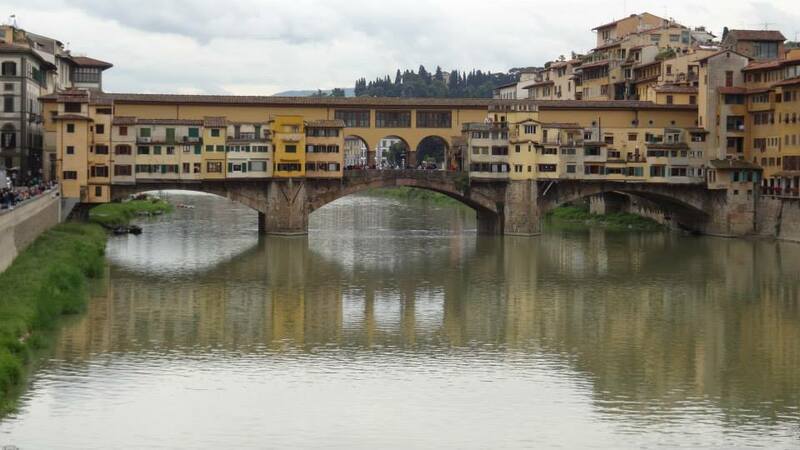 The Ponte Vecchio spans the Arno River, and is lined with shops on both sides. Starting in the 13th century, the shops on the bridge were of all sorts: butchers, fishmongers, tanners, etc. Many years later, however, it was decreed that only goldsmiths and jewelers could have shops on the bridge, to both show off the wealth and fine goods of the city and also eliminate the foul odors and waste that the butchers and tanners and such generated from such a well-traveled walkway. To this day, the shops on the bridge consist of fine jewelry stores and it is always a fairly crowded tourist attraction. Running above all the shops is the Vasari Corridor. Built in 1565, this “secret” passage that connects the Pitti Palace – home of the Medici grand dukes – with the Palazzo Vecchio, Florence’s city hall. This way the Medici could get to their offices without having to walk among the common people. The Ponte Vecchio is the only bridge in Florence that was not destroyed by the Nazis as they retreated from the city in August of 1944. The rest of the city’s bridges were blown up and later rebuilt in their original spots after the war.